Along with a busy month in clinic and volunteering I’m connecting with practitioners around the country, mentoring 1:1 and some big events. I’m half way through a fun collaboration with Health Masters Live, with a series of Business Builder webinars. These cover a wide variety of issues that often come up in my 1:1 mentoring with health practitioners. The first two webinars on setting client expectations and boundaries, are essential if you find yourself constantly attending to business outside of work hours. How we help set our client expectations right from the start, can streamline how we work and make our clients feel more secure. Boundaries include both the personal (can we ever work with friends or family) and the perennial issue of managing our time (do you find yourself clocking up a lot of unpaid, client-related hours in your personal or family time). In April the focus is on helping practitioners prioritise their ongoing learning, with a skills audit and other nifty techniques I’ve created to help you zero in your precious training time and money. The final webinar explores what you need to know about online consulting and digital practice. What can and can’t you do? I test location independence, working with clients far and wide and weighs up the perks and limitations of this style of practice. Check this link for the details about my upcoming webinars. You can purchase access before the live webinar and have the opportunity to ask questions, or access the replay afterwards. Join us in Bali for the practitioner experience of the year. We’re booking fast and only have one room and a cottage remaining. When applying, mention that you are a newsletter subscriber to receive a $200 discount off the full price. This may be the last year we offer this experience in the current format, so don’t miss out! The Naturopaths and Herbalists Association of Australia is turning 100. It’s a pleasure to be speaking once more at the NHAA International Conference. If you’re attending this conference of the century, please say hello! Would you like to grow or reshape a business you love or improve your clinical skills? For over twenty years, Gill has helped naturopaths and allied health professionals blossom in both business and clinical expertise. Just as naturopathy is based on treating the individual, your business and professional supervision needs are also unique. 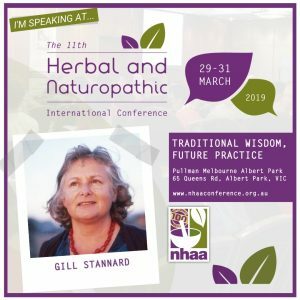 Gill draws on over a quarter of a century of successful clinic ownership and naturopathic practice to help you find your authentic clinical and business style. 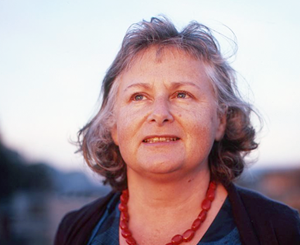 You can work with Gill from anywhere in the world via FaceTime or Skype, or in person in Sydney’s Inner West. Book now – to grow a business you love.